 Fire Incidents in City of Austin Full Purpose which AFD responded on (does not include medical calls). See Attachment for Metadata PDF. MasterIncidentNumber = unique identifier for individual incidents. If you encounter multiple rows with same MasterIncident number, it is b/c that incident had a multi-unit response. Please refer to RespondingUnit to determine the number of units responding to the individual incident. Call_Type = generalized description of incident type for individual incidents. ResponseArea = Small geographic boundary (often tied to a specific stations) in which individual incident occurred. Ex: 00-0101 is a ResponseArea for Station 1. Also referred to as Fire Box. TSUPResponseStatus = Level of response. Code 1 = no lights/sirens, travels speedlimit. Code 3 = lights/sirens, will travel faster than speedlimit.